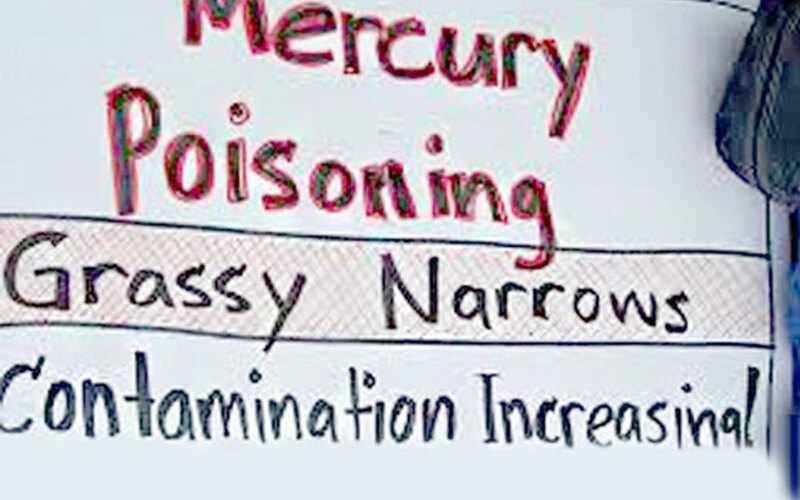 Toronto – The chief of the Grassy Narrows First Nation in northern Ontario says the federal and provincial governments must help his community overcome the effects of decades of mercury poisoning. Japanese researchers found more than 90 per cent of the people in Grassy Narrows and the Wabaseemoong (Whitedog) First Nation show signs of mercury poisoning, including a new generation of residents. The researchers say people who were not born when mercury was dumped into the English and Wabigoon River systems by a paper mill in Dryden, Ontario, in the 1960s show symptoms of mercury poisoning. Chief Simon Fobister Sr. calls it “shameful” that communities and people impacted by mercury poisoning have to fight for every bit of help they can get, and says he still wants a commitment from the province to clean up the local river. Fobister says there must be financial assistance for people suffering from mercury poisoning and help to restore the local economy, which was devastated in the 1970s when their commercial fishery was shut down because of the contamination. Masanori Hanada of Kumamoto Gakuen University has studied mercury poisoning in the Japanese town of Minamata, where the first human patient of what later became known as Minamata disease was identified.